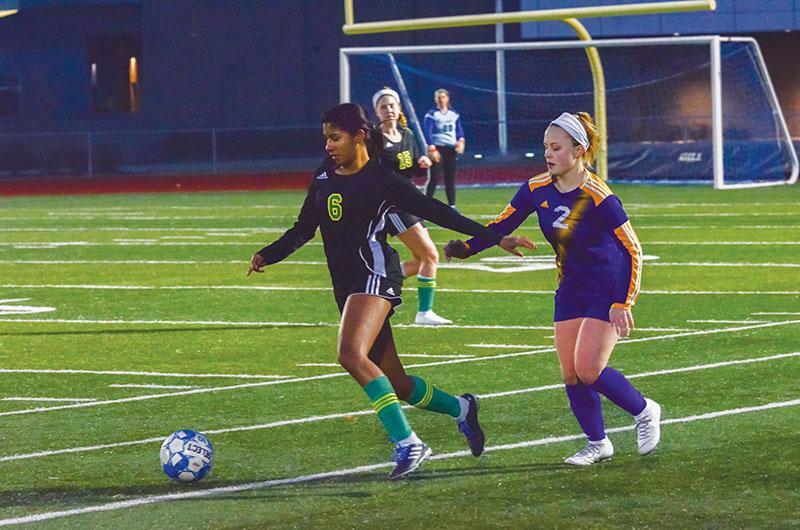 With two games already under the belt of the girls’ soccer team’s season, the Bruins will play against Nixa High School on home turf, tomorrow. With the season just beginning, the team has been working on its cohesiveness, making sure the Bruins are able to effectively work as a whole. Frey believes teams would be a mess without a good bond, and RBHS’ is developing positively. With a new season and players after the loss of seven seniors, she said team chemistry has solidified after a player knows another’s next move in a game. While every year there are new teammates, the team is adjusting to the addition of a different head coach, too. Scott Wittenborn, head coach for boys’ soccer, replaced the old girls’ soccer head coach Gary Drewing; this will be Wittenborn’s first year coaching the girls’ program. Junior Sydney Klimek is confident in the abilities of the new coach and sees players staying focused and creating a connection with Wittenborn, which she believes strengthens the team. The Bruins, Klimek said, have been team building with activities, such as volunteering at the food bank, but have mainly been trying to make the most out of the practices they have. With the loss of senior players, Klimek said the team has created goals to strive for throughout the season. Put in numbers, the Bruins have an aspiration to score two goals or more per game, win 12 or more games and win a game after a loss. With the team’s goals listed out, the players are working together toward the same ambitions. As the team’s practice time continues, the bond grows stronger. The determination and hard work the Bruins are willing to put in the season will be the trait that helps brings the girls’ team a successful season. Frey believes this essential trait of a cohesive team will allow it to have a great season. She is excited to see what the newly formed team will bring to the table.